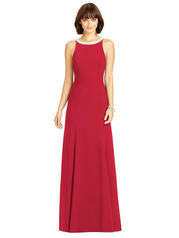 Full length crepe dress w/ pearl trim at neckline and straps. Deep back. Trumpet skirt.